CakePHP is an open source web framework which follows Model-View-Controller approach. It is written in PHP and distributed under the MIT license. It was started by a Polish programmer Michal Tatarynowicz in April, 2005. Its first version was released in May, 2006. 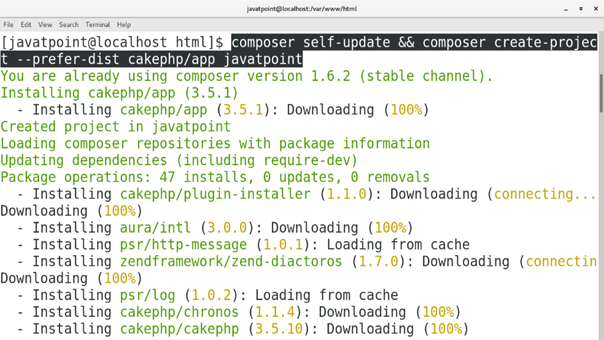 In this tutorial, we will install CakePHP on CentOS. Execute the following command to install CakePHP on CentOS. Start the Apache server by using following command. Run the binary executable file cake located inside /var/www/html/javatpoint/bin. We just need to type localhost:8765 in the browser's search bar to access CakePHP on browser. 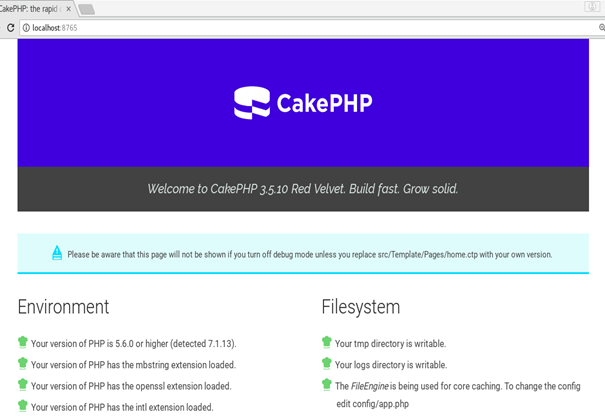 Hence, we have installed and get started with CakePHP.